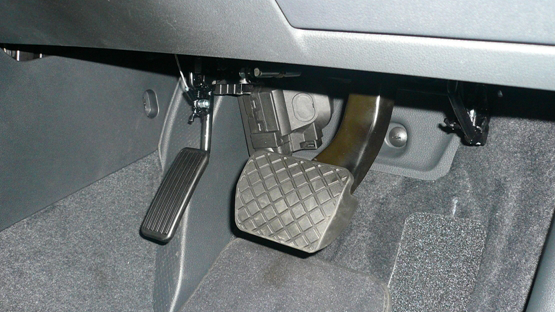 An alternative to hand controls allowing the driver to use their left foot to accelerate in an automatic vehicle. Please see options below for left foot accelerators. Designed for vehicles with pendulum type pedals. 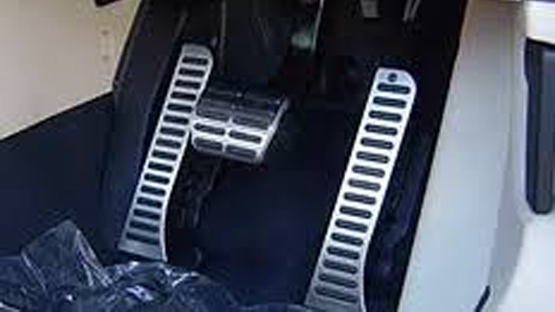 The vehicles current accelerator is hinged, with the addition of a further hinged left accelerator pedal. When one pedal is pushed down the other flips up out the way. For those vehicle with floor mounted accelerators. 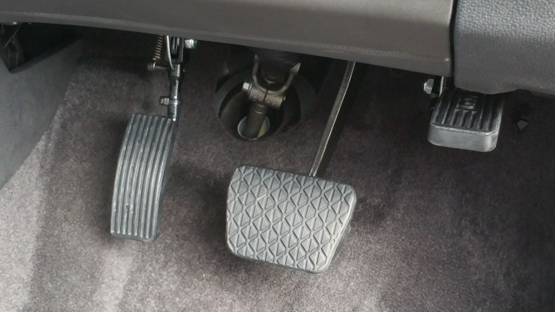 A matching pedal is fitted to the left side, with a simple switch allowing the driver to use either pedal. Although both pedals are always visible, only one pedal is active at any time. A relatively new adaptation, allowing electronic floor mounted pedals to be adapted into a Twin Flip Folding type. Please contact us to check availability for your vehicle.